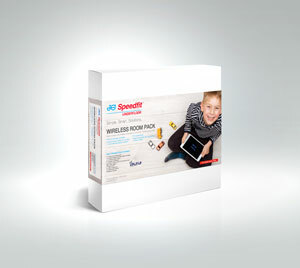 Building on the success of JG Speedfit’s previous design, the Room Packs have been revamped to offer enhanced functionality and ease of installation. They feature a more powerful, energy-efficient pump than their predecessor and a built in adjustable temperature sensor that turns on the unit when hot water flows from the boiler. All that is required to wire up the Room Packs is a connection to mains electricity. Not only does this save time, it passes on energy and cost savings to the user. The inclusion of a pump test switch also makes commissioning easy.